Finkelstein, Norman G. Holocaust denier and author of "The Holocaust Industry," who once famously asked, "If all these people survived the Holocaust, who actually died?" It’s inconceivable to me that Finkelstein might achieve tenure at De Paul University in Chicago, where he presently teaches his bizarre theories. That he is an assistant professor there is, in my view, a badge of shame for De Paul. His true occupation is as a member of a traveling circus, a freak show of anti-Semites who promote anti-Israel propaganda from campus to campus. He openly admits to having high regard for Hezbollah on his Web site, and he promotes the false notion that "scholars widely agree that Israel ethnically cleansed the Palestinian people in 1948." Finkelstein is almost universally regarded as a Jewish traitor and anti-Semite, and at the very least a fraud and pseudo-scholar. Commentary Magazine's Gabriel Schoenfeld has labeled Finkelstein's views as crackpot ideas, some of them mirrored almost verbatim in the propaganda put out by neo-Nazis around the world.. "Fink's" books do not sell in America, but they are best-sellers among the growing number of neo-Nazis in Germany. Finkelstein has been endorsed by anti-Semites of all stripes, including Israeli Jewish anti-Semites like Neve Gordon from Ben Gurion University. Finkelstein's hatred of Jews runs so deep that he has actually implied that his own mother, who survived the Nazi Holocaust, may have collaborated with the Nazis. 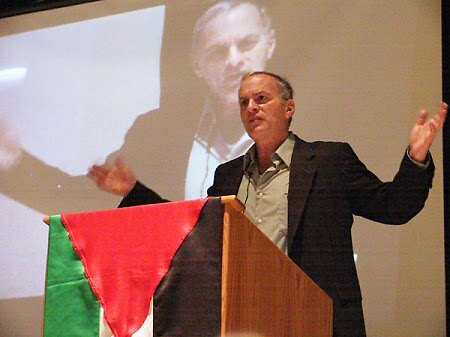 If so collaboration with evil seems to run in the family, because Finkelstein has clearly become a collaborator with Hezbollah anti-Semitism and Nazism. Finkelstein's website is filled with Hezbollah promotion, including breathless reprints of Nasrallah speeches. Following the one month 2006 summer war between Israel and Hizbollah,he wrote, "I truly honor [Hizbollah] for having inflicted an exceptional and deserving defeat on their foreign occupiers. It's another wonderful chapter in the long and painful struggle for human emancipation and even liberty and certainly one that every human being can take inspiration from." When American and Jewish soldiers die, Finkelstein rejoices! Has this capo EVER said a kind word about the Israel or the Jewish people? Sadly, we know of none. Even if Norman Finkelstein did not really exist, we'd have to invent him as a Poster Yehudon [Jew Boy] caricature of the Self-Hating Israel-Threatening Jew.